CRUSADER BASKETBALL - Dribble for Destiny, Inc.
MISSION STATEMENT: "Athletes Altering Destinies"
VISION: "Empowering people to acknowledge and embrace their God-given destiny." 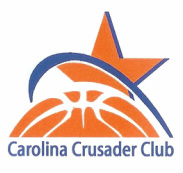 The Carolina Crusader Club was formed in 2004 with the idea of creating teams to compete in the Upstate of South Carolina and local region. It is our objective to compete at a higher level through our team program. Our teams will try to win every game while giving the opportunity whenever possible to the undeveloped players, yet still maintaining the victory. This is not a church league, YMCA or recreational program. All teams will carry a minimum of 12 players and a maximum of 15. Each tournament will consist of a minimum of four games and a maximum of six. Because of this, it is vitally important to have at least 12 players on a roster for any given tournament. Teams could play up to three games in one day, and making it into the finals would mean six games for the week-end. All teams will try to advance to the National Tournament. Competing at the National Level is a goal for each coach, parent, and player. It is also our objective to develop godly leaders by creating an environment built on Christian faith and principles. Competition, teamwork, integrity, honesty, and loyalty are all characteristics that we are striving to develop through practices and games with our coaches and players. For week-end tournament information, please go to www.basketballofthecarolinas.com. Click on the appropriate tournament and you will find schedules, gym sites, and other pertinent information for the week-end. If you are interested in trying out or sponsoring an athlete on one of these teams, please contact Dribble for Destiny at 864-525-1433 or info@dribble4destiny.org. Information can also be downloaded by clicking on the link below. You can pay by Paypal by clicking on the Paypal tab.